Our fledging wader passage isn't exactly firing on all cylinders so far. We've had a few more RINGED PLOVER and a couple of COMMON SANDPIPERS but so far that's been it. Whilst there's plenty of water on the floods still, they are largely empty with just the usual SHELDUCK, a few GADWALL and the odd OYSTERCATCHER dotted about the place. 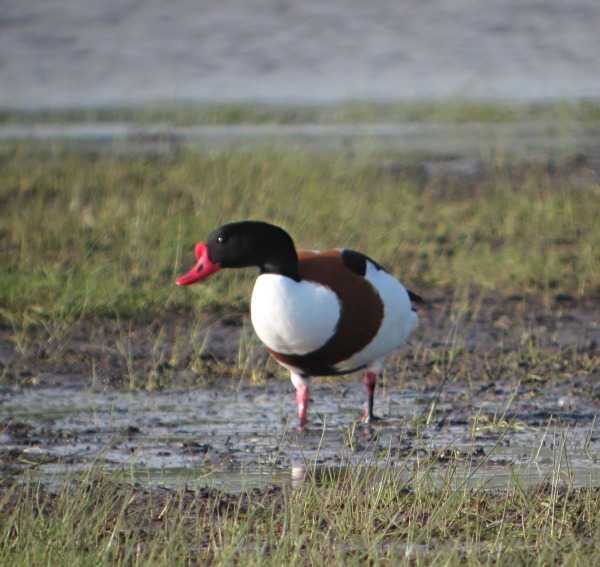 Several pairs of Shelduck have been around for quite a while now. In Burgess Field the GARDEN WARBLERS are now "in" and one has taken up territory in the usual hot spot where one is always to be found each year. With that now ticked off we're down to the harder to get warbler species for the patch: Sedge Warbler (surprisingly difficult for what is a common species), Grasshopper Warbler (we really need someone younger who still can hear them to search Burgess Field properly) and Cetti's Warbler (these can turn up in odd places at any time really). At last the SWIFTS are back over Jericho. They're about a week later than usual but they were back screaming over my house today at last. Wednesday 30th May: Red-necked Phalarope!